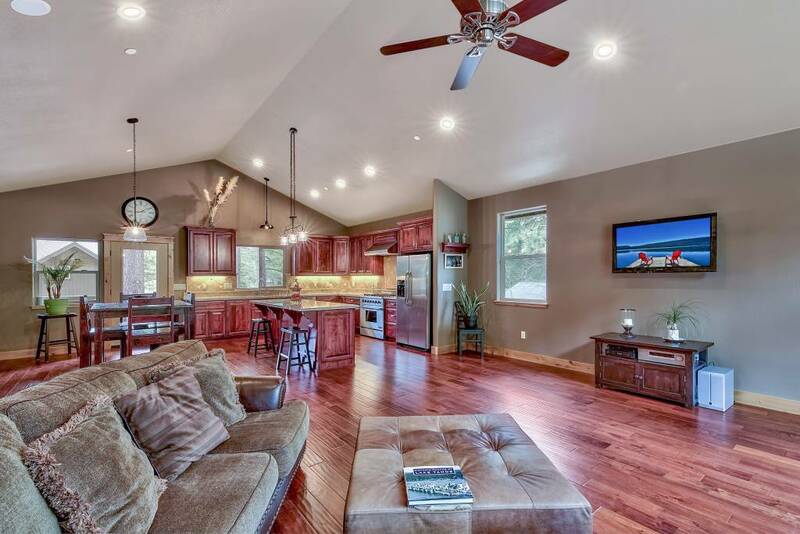 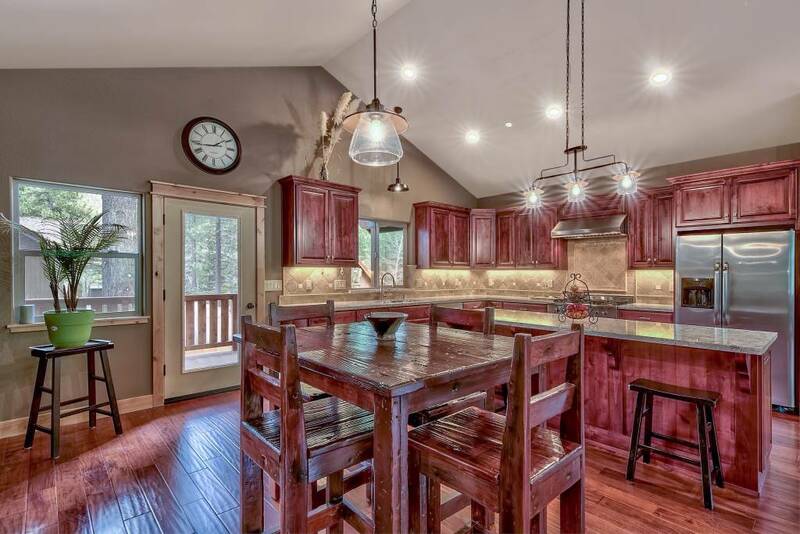 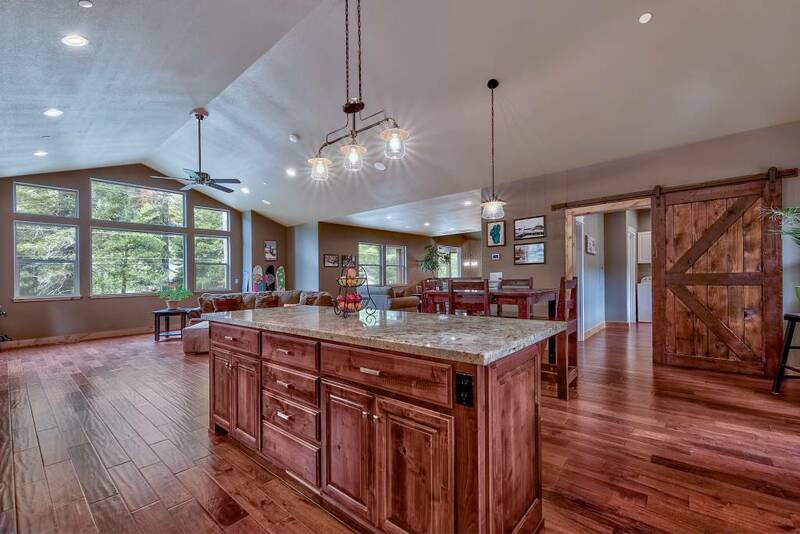 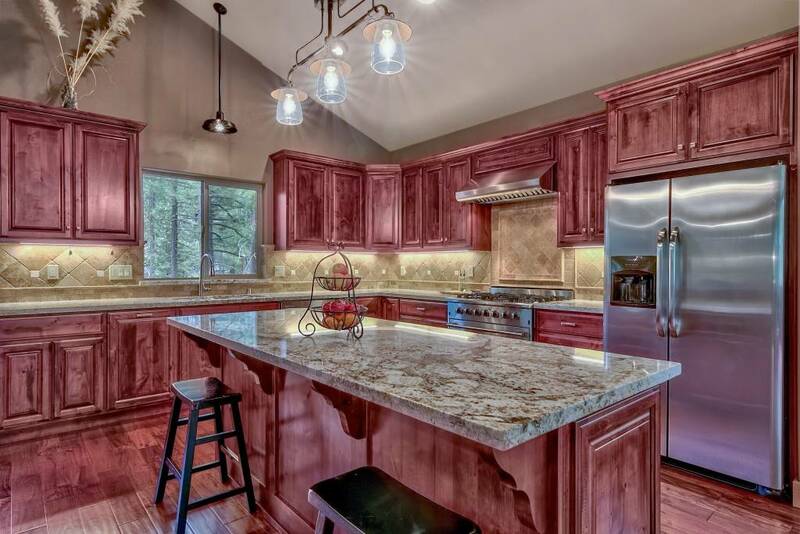 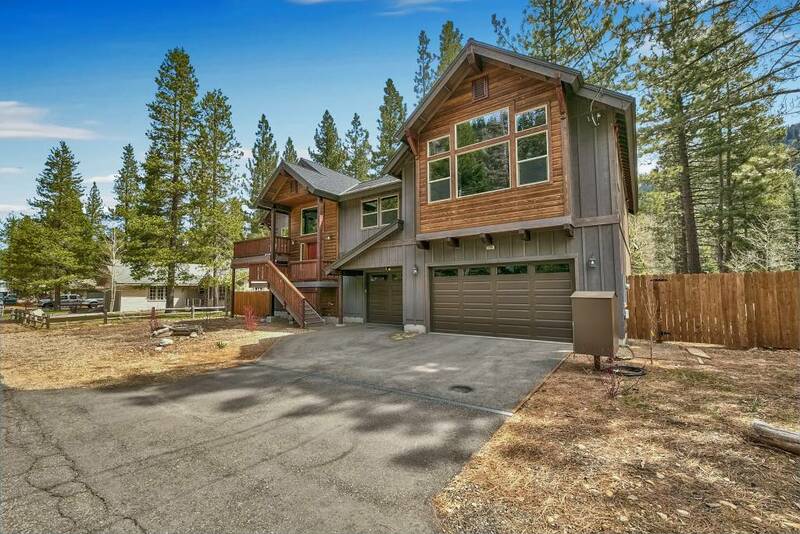 3281 Panorama, South Lake Tahoe, CA 96150 is a stunning newer craftsman style home with mountain views and a massive 40’x 35′ garage! 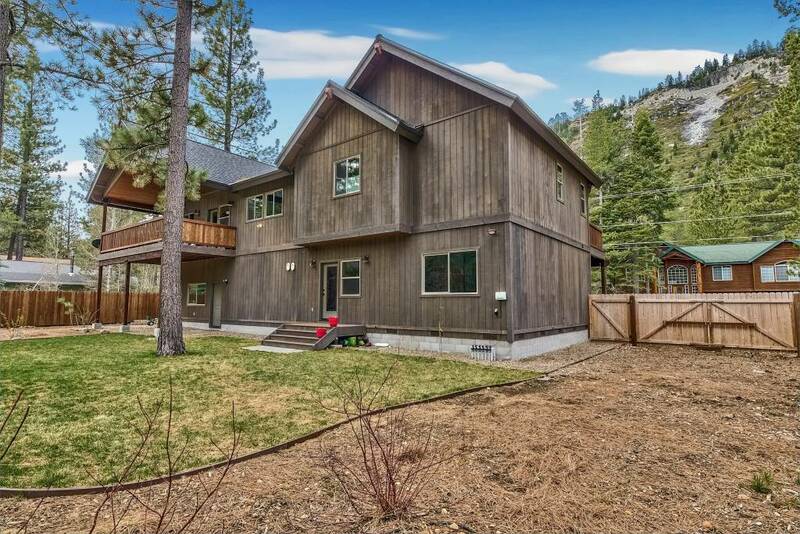 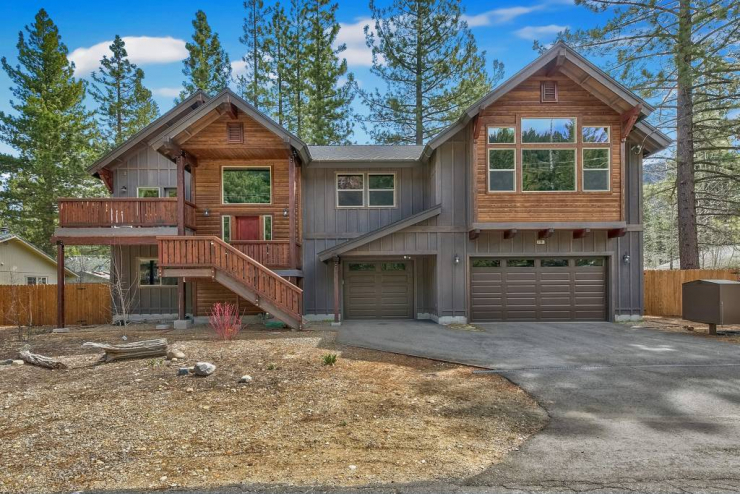 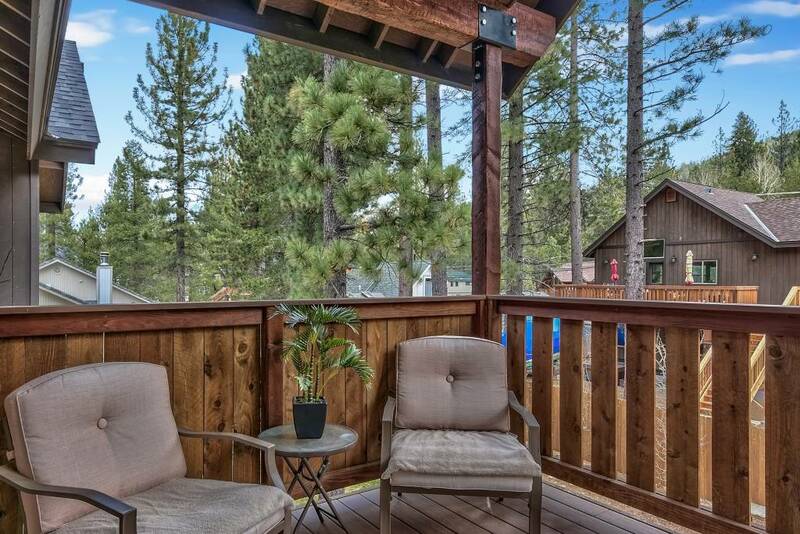 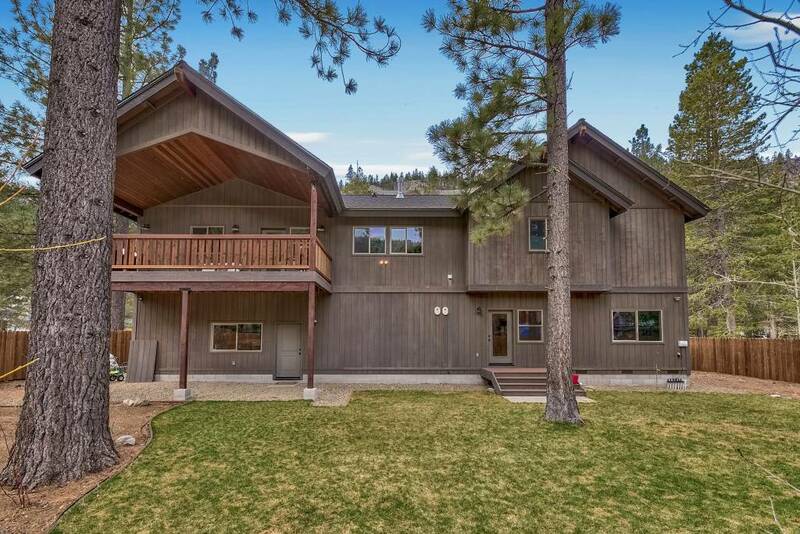 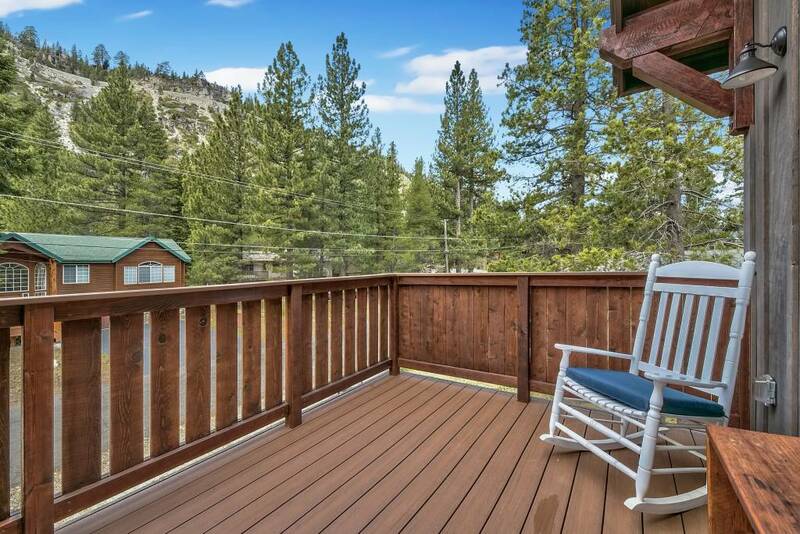 This custom home is located on a sunny and level lot close to hiking, biking, and Sierra At Tahoe, and is just 15 minutes from the lake. 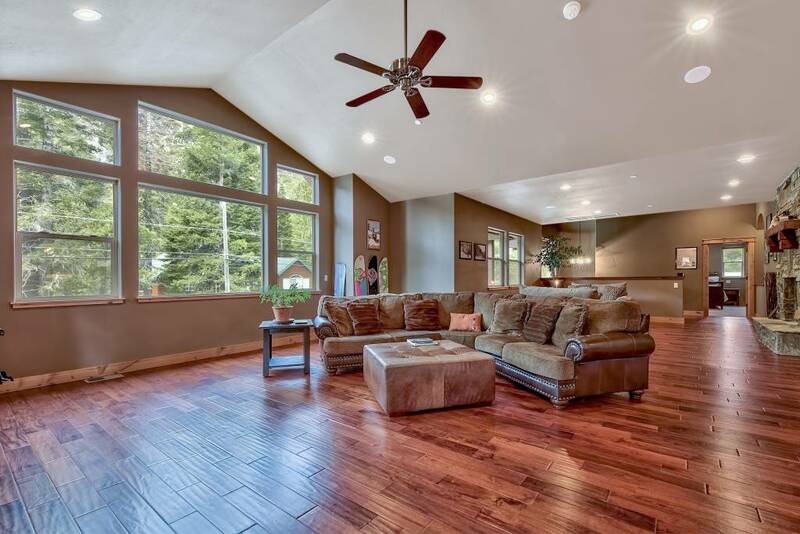 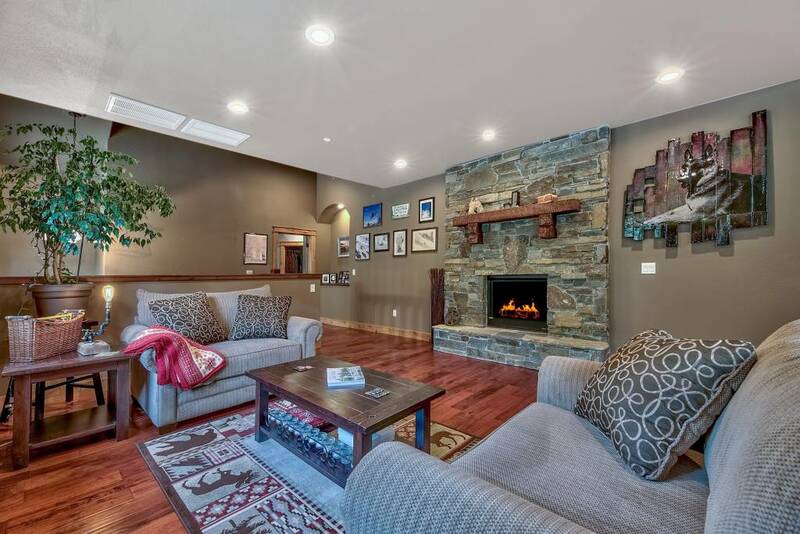 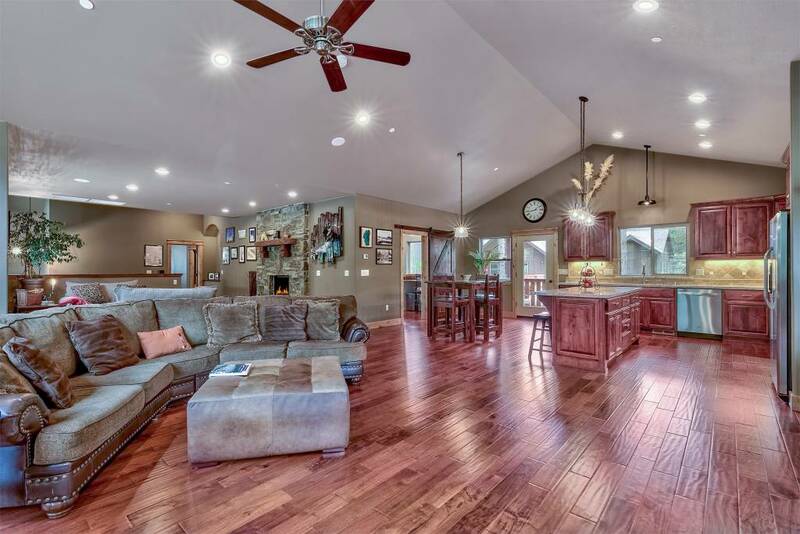 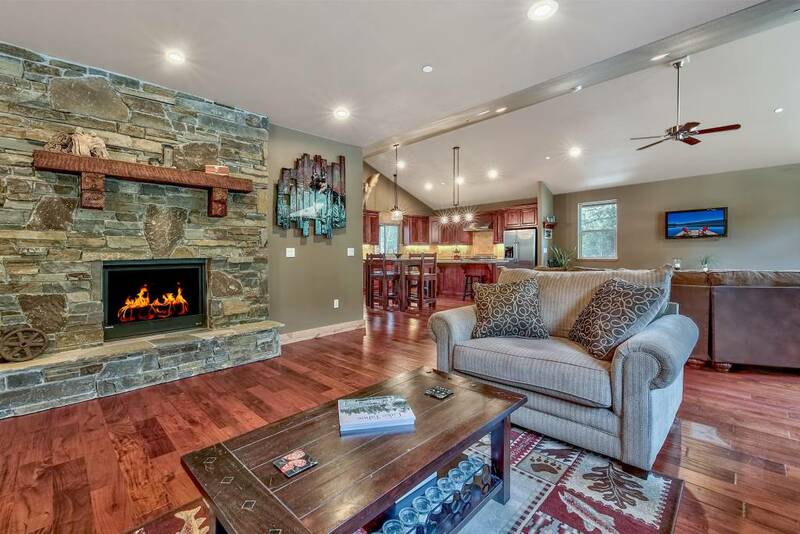 The spacious great room has hand scraped Acacia hardwood flooring, tall vaulted ceilings, and a beautiful natural stone fireplace with a timber mantle. 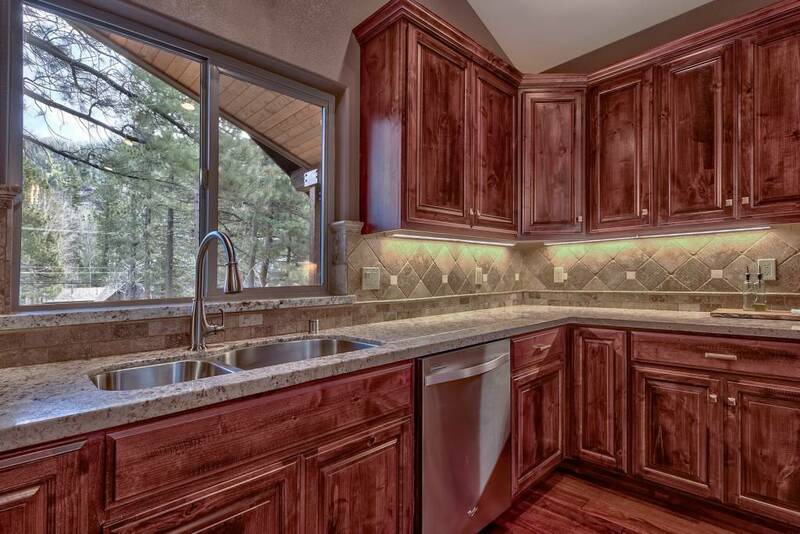 The stunning kitchen has rich stained alder cabinets, granite slab counters, and upgraded stainless steel appliances with a commercial 6 burner range. 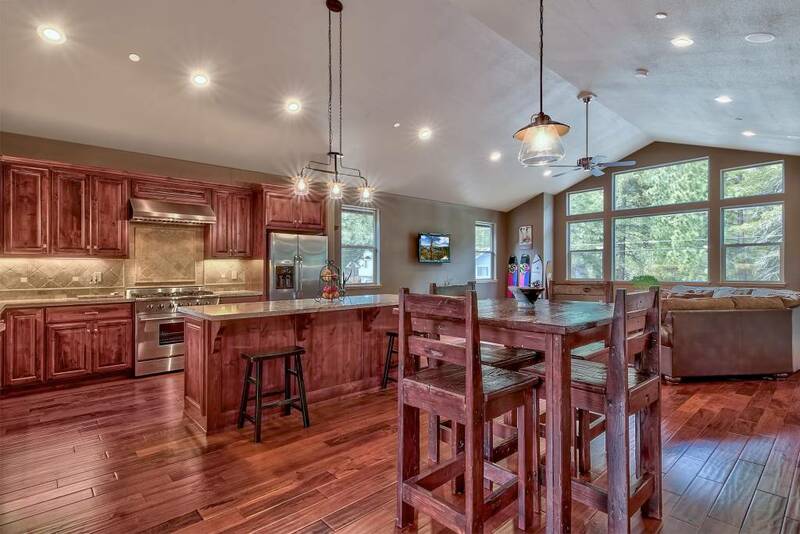 Off of the kitchen is a large laundry room accessed by a barn style door with built-in cabinetry. 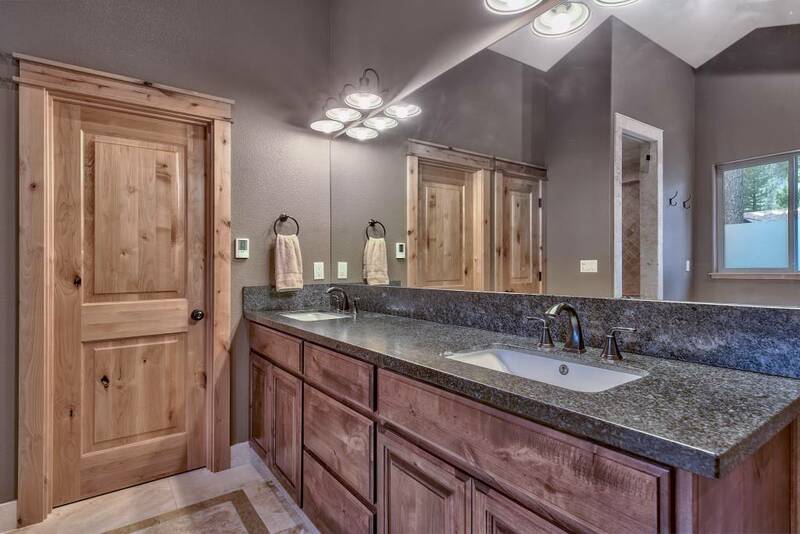 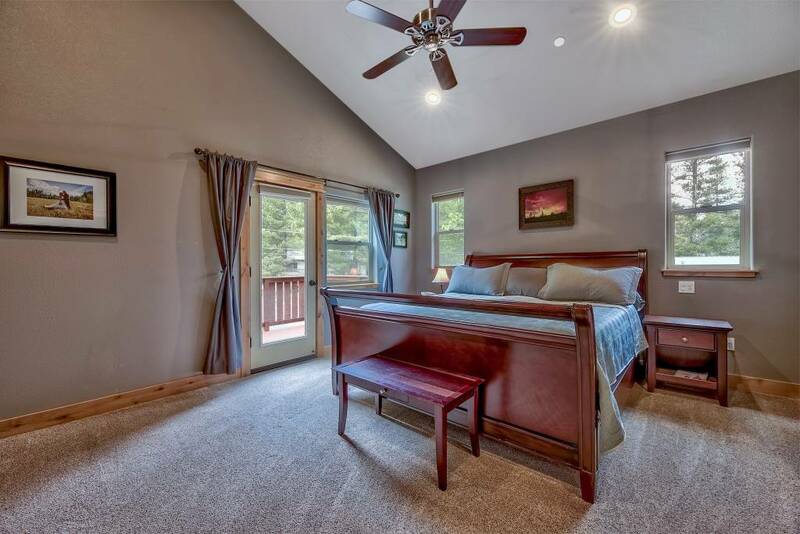 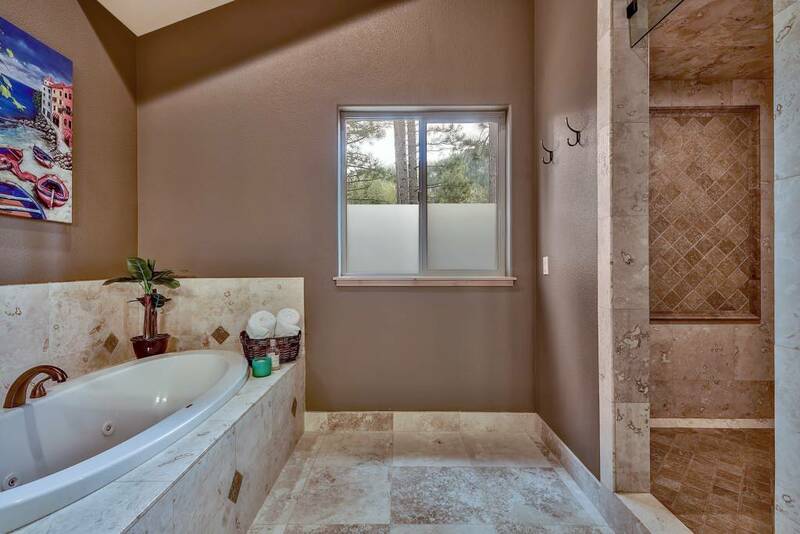 The master bedroom has a private deck, huge walk-in closet and a master bathroom trimmed with custom travertine tile, heated floors, jetted tub, and a steam shower. 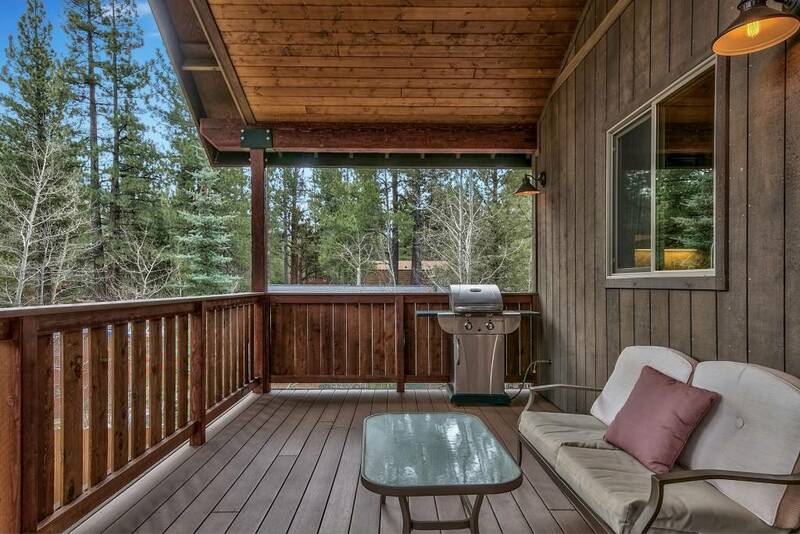 The covered back deck overlooks the landscaped 10,019 square foot fenced yard with boat/RV parking gates on each side. 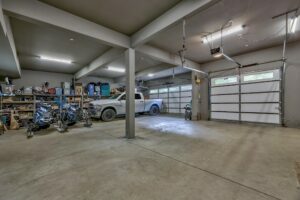 The massive garage can actually fit 5 SUV’s with room to spare for your Tahoe outdoor toys!